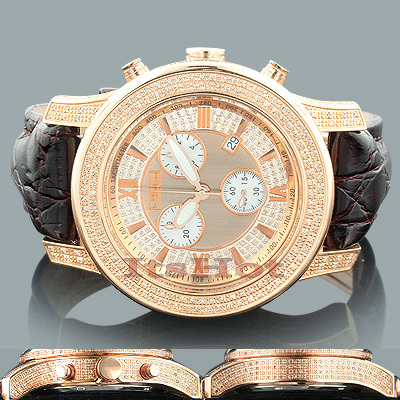 Mens Diamond Watches: This Joe Rodeo Watch JoJo 2000 Rose Gold Plated features 5.5 carats of genuine diamonds masterfully set on the sides, lugs and bezel of the rose gold tone stainless steel case. 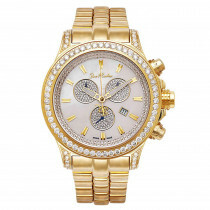 This JoJo diamond watch by Joe Rodeo showcases a rose gold stainless steel dial with three white mother of pearl chronograph subdials and a date window at the 4 oclock position. 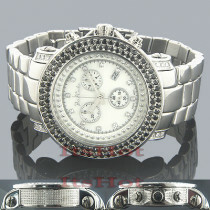 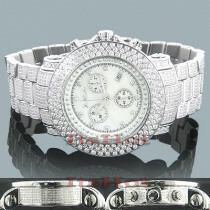 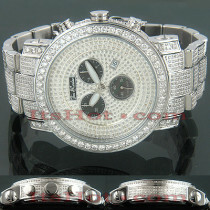 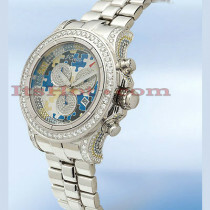 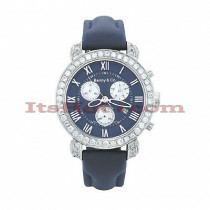 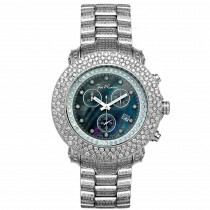 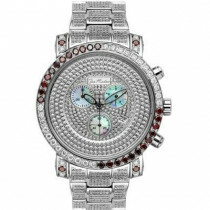 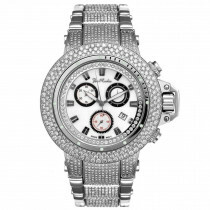 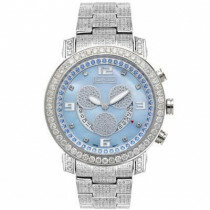 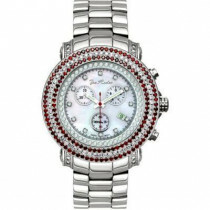 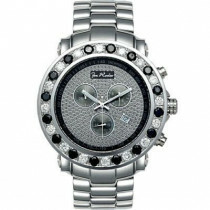 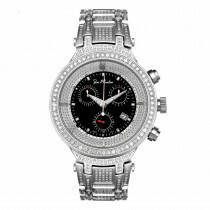 This mens diamond watch comes with two interchangeable rubber straps in different colors. 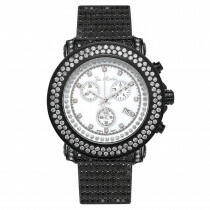 The patented strap adjusts once for a perfect fit, and comes on and off with the press of a button.